See all the greeting cards from Nicely Noted March 2019! Here’s the review + coupon! Check out the review of February 2019 Nicely Noted + coupon! It features greeting cards and mailing stamps! Check out the Nicely Noted January 2019 review + coupon code! It’s a monthly subscription that sends handmade letterpress cards! See the Nicely Noted December 2018 review + coupon code! It’s a monthly subscription of greeting cards with stamps and envelopes! 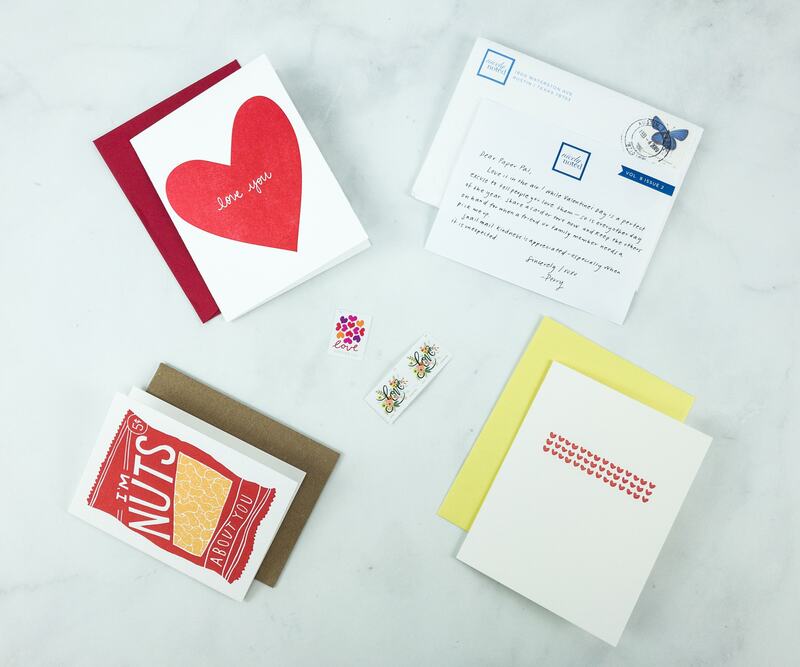 Nicely Noted is a monthly subscription of greeting cards. See the November 2018 review! 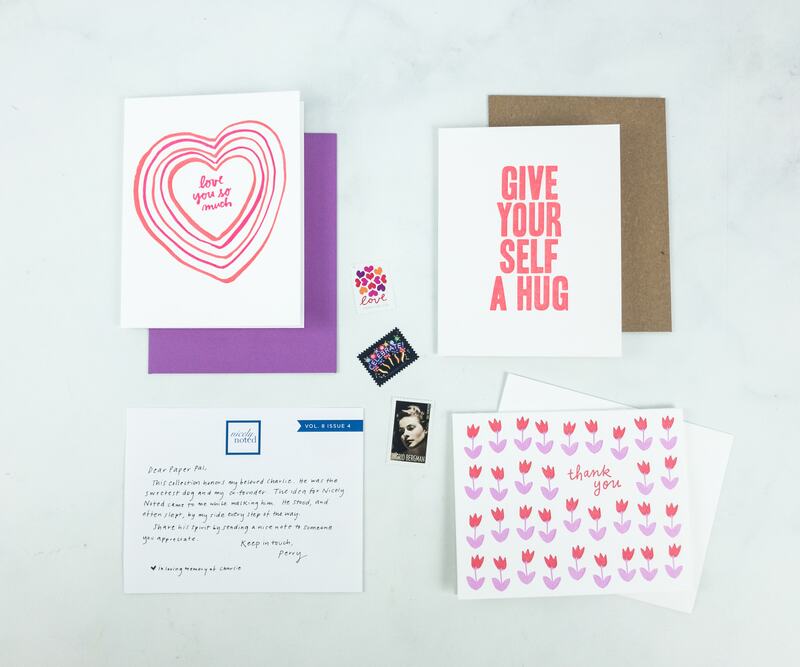 Nicely Noted is a monthly subscription of letterpress cards for various occasions. Check out the October 2018 review + coupon! Check out all the greeting cards and stamps from Nicely Noted September 2018! Here’s the review + coupon code! 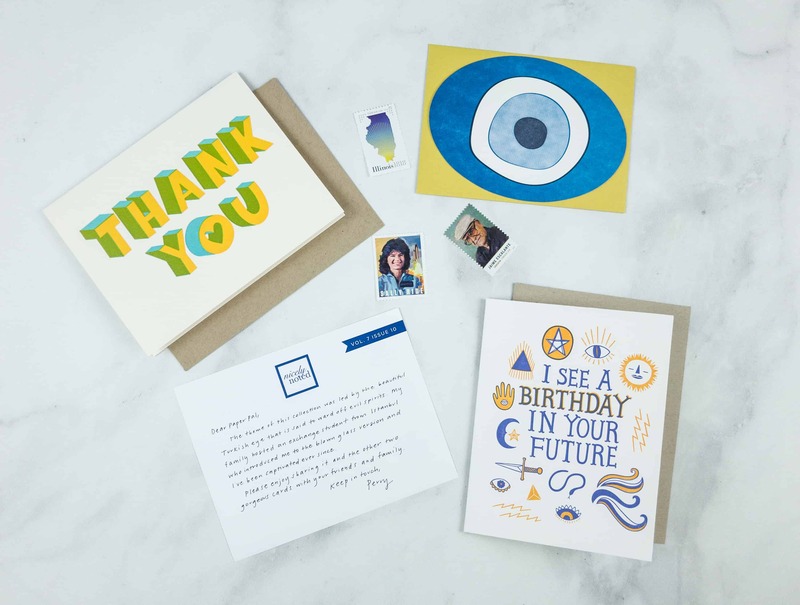 Nicely Noted is a monthly subscription of greeting cards. See the summer themed August 2018 review! See the July 2018 review of Nicely Noted + coupon code! It’s a monthly subscription of greeting cards for various occasions! 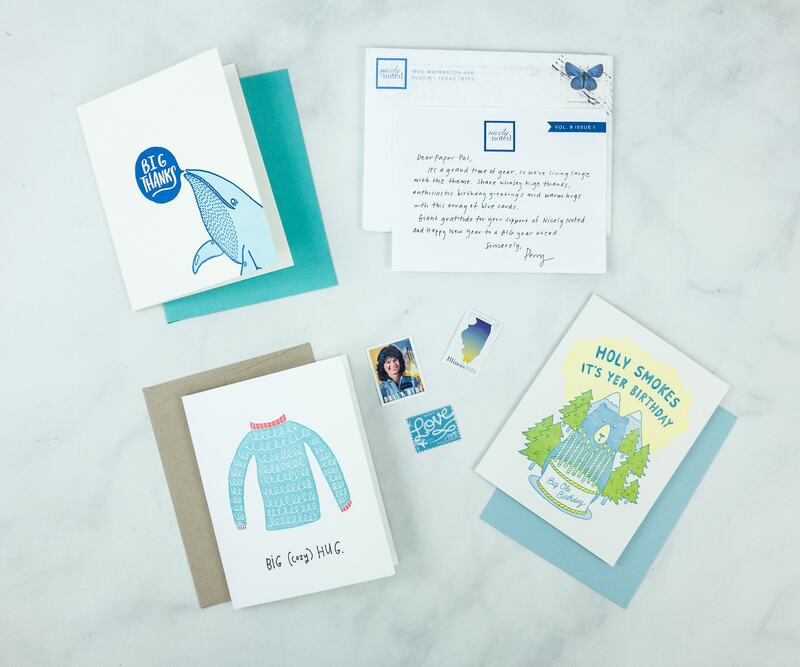 Nicely Noted is a monthly greeting card subscription that sends out premium cards and stamps. Read our May 2018 review + grab coupon! Lots of puns and Mexican themed fun! See our Nicely Noted April 2018 review + coupon! 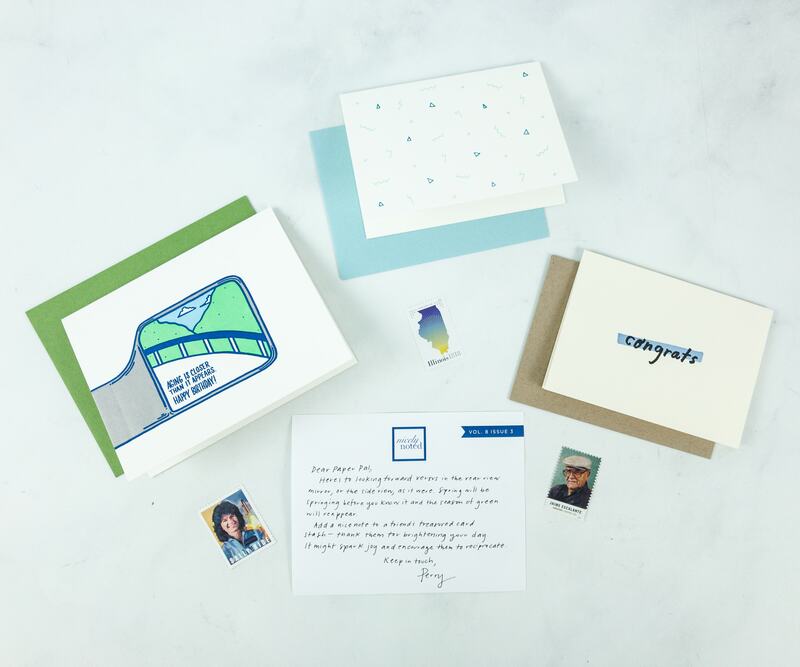 Nicely Noted is a monthly greeting card subscription. Read our March 2018 review! See all the high-quality cards and stamps we received from Nicely Noted! Here’s the February 2018 review + coupon! See all the high-quality cards and stamps we received from Nicely Noted in the January 2018 review! See all the high-quality cards and stamps we received from Nicely Noted December 2017! Here’s our review! Check out all the cards and stamps we received from Nicely Noted November 2017! Here’s our review! Check out all the cards and stamps we received from Nicely Noted October 2017! Here’s our review! Check out all the cards and stamps we received from Nicely Noted September 2017 – here’s the review! 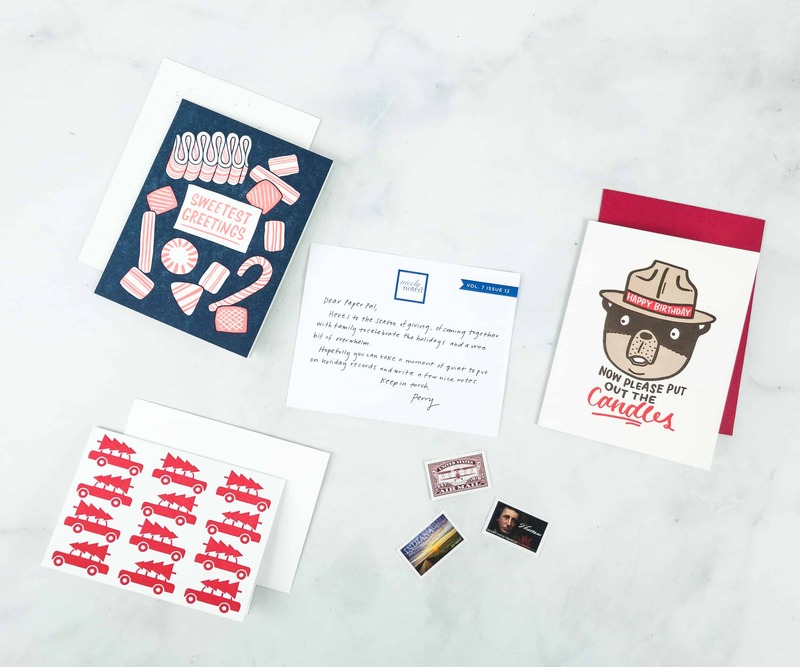 Nicely Noted is a monthly greeting card subscription. Check out our August 2017 review and start sending letters in the mail again! Nautical-themed greeting cards + awesome stamps! See my Nicely Noted July 2017 review and start sending letters in the mail again! 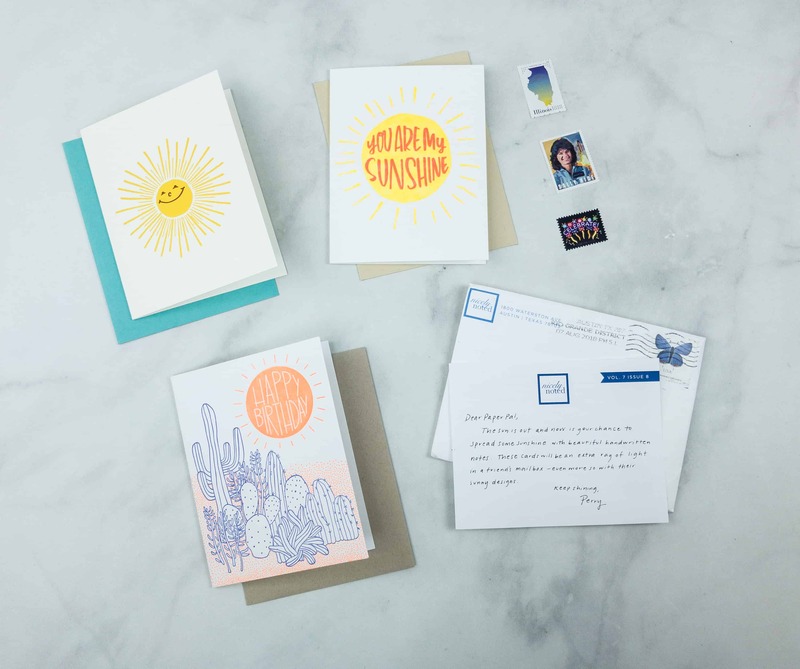 Nicely Noted is a monthly greeting card subscription. Check our June 2017 review and start sending letters in the mail again! Want to start sending letters in the mail again? 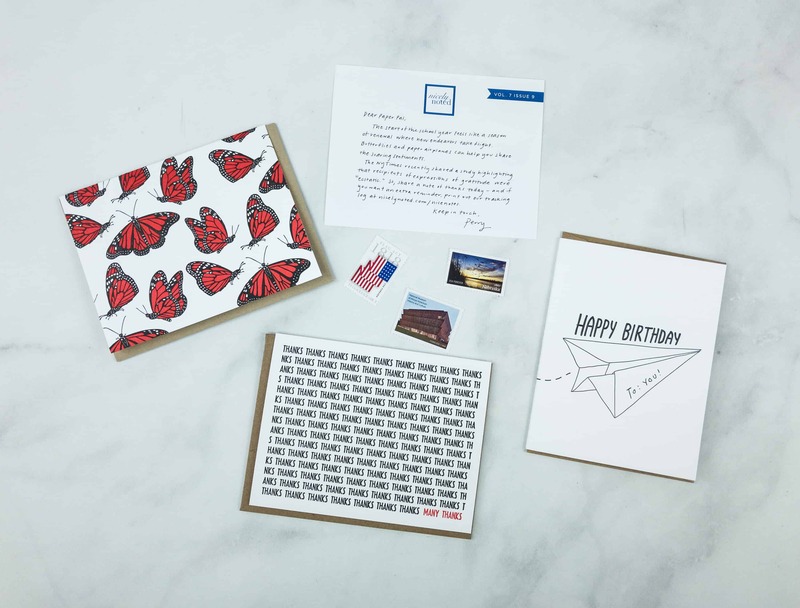 Check out Nicely Noted, a monthly greeting card subscription! Here’s the May 2017 review! Want to start sending letters in the mail again? 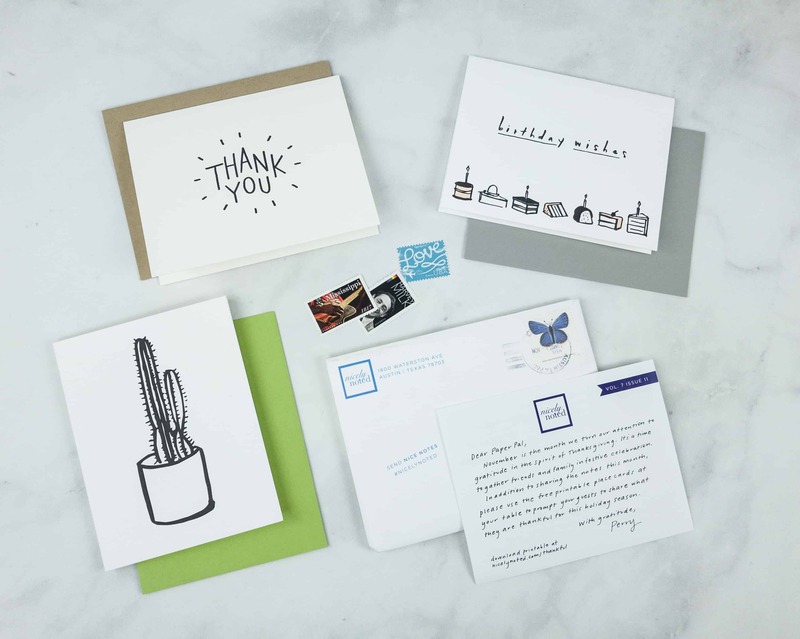 Check out Nicely Noted, a monthly greeting card subscription! Here’s my April 2017 review!